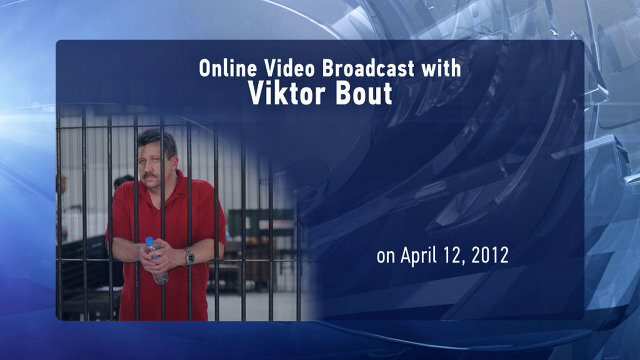 RAPSI: online video broadcast over Viktor Bout sentence | Russian Legal Information Agency (RAPSI). The Russian Legal Information Agency (RAPSI) held a live broadcast of a Moscow-New York video conference on “Bout case: Sentence passed, what now?” Alleged arms dealer Viktor Bout participated from the Metropolitan Detention Center (MDC) in Brooklyn, New York. U.S. jury found Bout guilty of conspiring to kill Americans in late 2011. A federal district court in New York sentenced Bout to 25 years in prison for attempting to sell arms to the leftist Revolutionary Armed Forces of Columbia. Bout has dubbed the trial an “inquisition” and stated that he had no hope that the sentence would be reversed or mitigated. During the video conference, Bout called journalists at the New York studio from the Metropolitan Detention Center (MDC) Brooklyn, New York, and answered their questions. His wife Alla attend the video conference at the studio.